Taal Volcano continues to be a danger despite its relative quiet in the last four decades. Taal Volcano has been relatively inactive for so long now that it is often seen as an innocuous tourist destination. Although its last significant eruption was as far back as 1977, it is anything but innocuous. 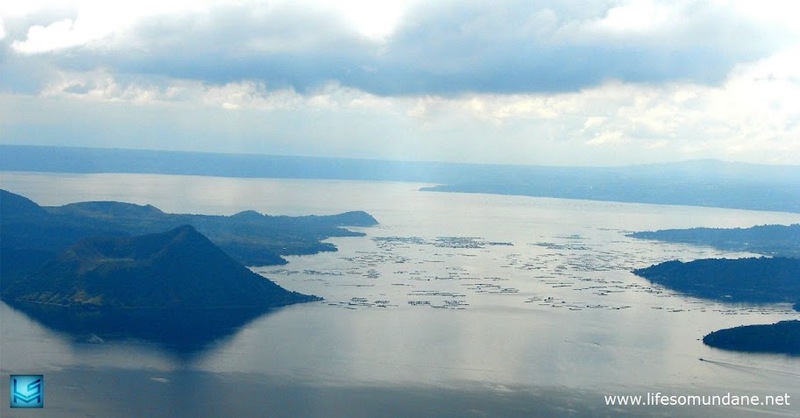 The Philippine Institute of Volcanology and Seismology (Phivolcs) recognizes that Taal Volcano, while relatively quiet for four decades now, is still capable of terrain defining eruptions such as the one in 1754. Phivolcs knows that such an eruption can occur again, although the institute is careful to say that it cannot say when an eruption of the same scale will occur.2 Nonetheless, the institute has prepared maps that show localities that are at potential risk should such an eruption ever occur again. Before we look at the hazard maps, let us first look at five potential eruption vents identified by Phivolcs. Eruption vents or eruption fissures are cracks in the earth through which lava erupts. These can be anything from a few meters to several kilometers wide. These potential eruption vents are also shown on Phivolcs’ hazard maps, but for clarity, let us look at these using a Google Earth image. The institute identifies these potential vents as the Taal Volcano Island Main Crater, Binintiang Malaki (also known as the “Fake Volcano” or frequent postcard face of Taal Volcano3), Pirapiraso, Off-Calauit and Binintiang Munti. Image credit: Google Earth. Click image to enlarge. Phivolcs’ Ballistic Projectile Hazard Map assumes a worst case scenario similar to the 1574 eruption. The map shows in pink (and violet, since pink has been superimposed on blue which represents the waters of Taal Lake) the localities in danger should such an eruption occur. Particularly at risk are the shores of the municipalities of Laurel and Agoncillo along with a small portion of the Talisay shoreline. Phivolcs notes that areas outside of the ballistics danger zone may also experience ash fall, but that exactly where is dependent on prevailing winds at the time of the eruption. This ash fall tends to be thicker closer to the vents from which eruptions occur and thins out the farther away from these vents. Finally, Phivolcs says that the boundaries of the hazard map will change if the eruption center occurs outside the volcano island, excepting Off-Calauit. Image credit: Phivolcs. Click on the image to enlarge. Like in the previous map, Phivolcs assumes a 1754-like worst case scenario and that the eruptions will take place from any of the five previously identified vents or fissures. Brown represents areas prone to base surge from such an eruption and dark tan is a buffer zone which may or may not be affected. The potential risk from base surge of a 1754-scale eruption is wider than the risk from ballistic projectiles, as the hazard map shows. Included in the zone regarded as prone to base surge are the municipalities of Taal, San Nicolas, Agoncillo, Laurel along with parts of Santa Teresita, Mataas-na-Kahoy, Balete, Cuenca, Alitagtag, Malvar, Tanauan City and Talisay. Even the outer fringes of Lipa City are included. For better appreciation of the danger from base surge, here is the same map superimposed at 40% opacity on a Google Earth image. Notice that the buffer zone reaches out all the way to parts of Tanauan City in the northeast (i.e. of the volcano) and Lemery to the southwest. Image credit: Google Earth and Phivolcs. Click to enlarge. Phivolc’s Taal Volcano Seiches/Lake Oscillation Hazard Map shows in yellow (and light green where the yellow is superimposed on the blue waters of the lake) areas vulnerable to seiches should a 1754-scale eruption of the volcano occur. These include the parts of the shorelines of Tanauan City, Talisay, Laurel, Agoncillo, San Nicolas, Santa Teresita, Alitagtag, Cuenca, Mataas-na-Kahoy, Balete and Malvar. This does not mean, however, that Taal Volcano has gone completely dormant. We need look no further than Mount Pinatubo, which was dormant for six centuries, to know that it is not a good thing to think that Taal Volcano will not act up again. At any rate, one advantage that we all definitely enjoy over those who had to endure the 1754 eruption is that we all have quick access to information and can act accordingly based on this. This is why the Phivolcs hazard maps ought to be studied by those who live in relative proximity to Taal Volcano. For those who wish to download and view the complete hazard maps from Phivolcs, please click here. 2 “Taal 1754 eruption: Will history repeat itself?” online at Rappler.com. 3 “Binintiang Malaki Volcano,” online at Wikimapia. 4 “Volcanic Hazards,” online at the University of the West Indies.